Parentini are a small Italian clothing manufacturer based in the Tuscany region of Italy. The brand has existed for just over 40 years and currently provided kit to a number of European cycling teams, but most noteably the Danish National Cycling team. The business is still very much a family affair with the garments all being made in the factory in Italy. I’m even led to believe some of the staff are still working there 40 years later. This year Parentini launched a jacket called the Vita; this is billed by them as a “High performance all weather jacket”. This is Parentini’s answer to the Gabba long-sleeve. 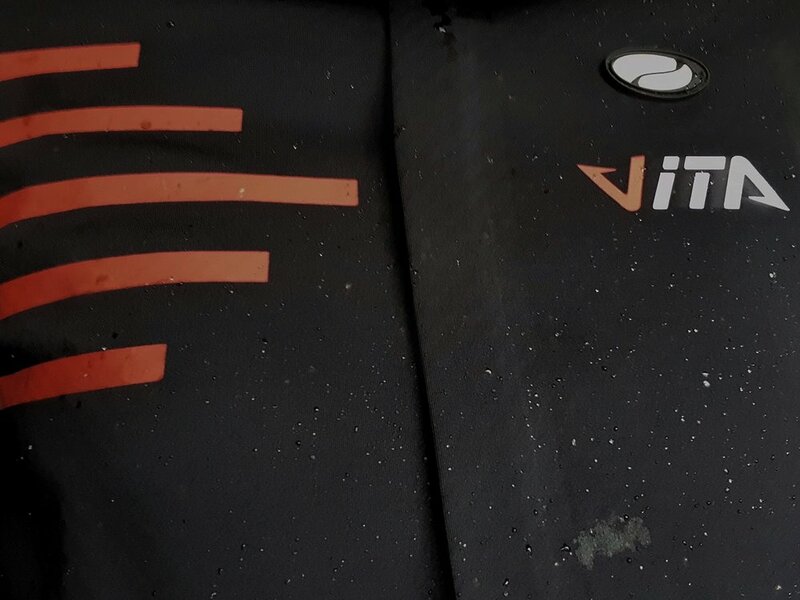 The Vita is made of a ‘Windtex Pro memberane’ which is labelled waterproof, wind-proof and breathable. A water repellent coating is then applied to the material to add to the foul weather protection provided by the jacket. The jacket is designed to be a race cut. I’m 6ft tall and built like a beanpole so following a recommendation from Parentini opted for a size small. True to their word the jacket is definitely a race fit; it’s not excessively tight but sits close to the body. The front is cut in such a way that when you’re off the bike it almost looks too short on the body but once you’re on the bike it’s clear that is to prevent the material bunching up at the front to make sure you’re not losing heat unnecessarily and, most importantly, you stay aero. The recommended temperature range of the jacket is 5c to 18c. Having ridden in the jacket for the two months I would change that slightly to 0c to 13c. I think Parentini have possibly undersold the jacket in this respect. When coupled with a long sleeve merino base layer for winter I was more than warm enough even at lower temperatures but could see myself overheating if I wore at 18c. Maybe the Italians get cold easy. The Vita’s water repellent coating works well and you can see the water beating off the jacket when it rains. After two months it’s still going strong and much like the Gabba, you can follow a set of specific instructions to help make the coating last longer, although I’m not that far into the life of the jacket yet. After prolonged time in heavy rain the jacket will eventually let water through the seams but this is inevitable of any jacket. Parentini say that even if the treatment fades, the waterproof material so should work well. The Windtex membrane effectively makes the Vita into a soft-shell jacket. The wind-proof properties of the jacket worked particularly well. It can be pretty exposed here in Yorkshire but I never felt like the wind was nipping at my chest. It seems to be colder more than it rains up north at the moment so this was pretty welcome. There are some nice touches to the jacket that help it stand out as a foul weather garment. The cuffs of the jersey are tapered so that they are longer over the top of the wrist but standard length underneath; this allows them to be slipped over the top of a glove to help seal the gap and keep your wrists warm, without material on the underside rubbing on the handlebar. The high collar is also particular welcome, helping to keep the breeze off the back of the neck and stopping water following down your back. If I was going to ask one thing of the Vita, it would be that it was just a tiny bit more breathable so that when I’m doing harder sessions the sweat wicks away faster. It has been unseasonably warm though so lets see what happens when there is a prolonged period of cold. 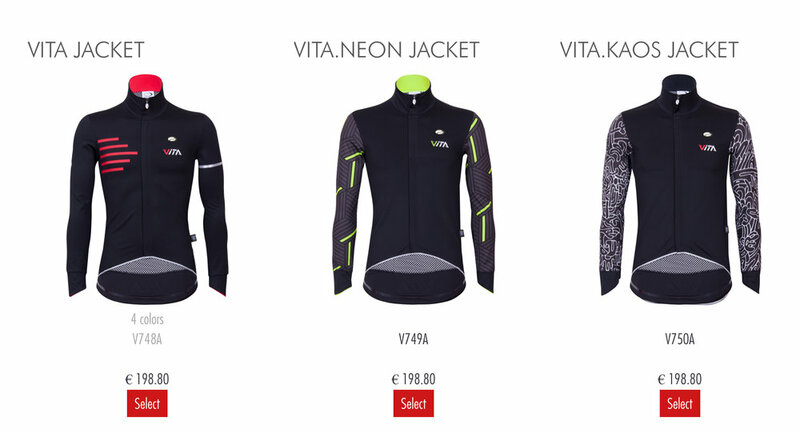 Overall the Vita is a nice, snug fitting jacket with a race fit and some well thought out details that you’d expect from a true Italian brand that provides more warmth than advertised. Time will tell if the waterproofing continues to hold but I intend to wear the jacket all winter so lets see what happens. If you’re looking for something a bit more unique that the Gabba then the Vita is more than a match and at roughly £176 is well within the same price range. *As is customary, it’s important to point out that that Vita was provided to me by Parentini for review.